The exceptional wine collection of entrepreneur and philanthropist James H Clark fetched a record $2.6 million at a recent Sotheby's auction. James H Clark's collection of over 30,000 Burgundy bottles is an enviable one. It takes years, sometimes a lifetime, to create an enviable cellar and only a few manage to curate a collection that can be classified as liquid gold. Reclusive entrepreneur and philanthropist James H Clark's spent the better part of his life putting money in art and bottles and his collection of over 30,000 bottles of Burgundy is an enviable one. Earlier this year, as many as 66 Henri Jayer magnums from his cellar were auctioned by Sotheby's in Hong Kong, a burgeoning wine market. The sale fetched an impressive $1,052,244. The next leg of the auction, which took place in New York recently, focused on some of the finest wines from Rhone and Italy in his magnificent cellar and set a new benchmark for the sale of Italian wines, with the lot coming under the hammer for $2.6 million dollars, way higher than what was previously anticipated by Sotheby's. 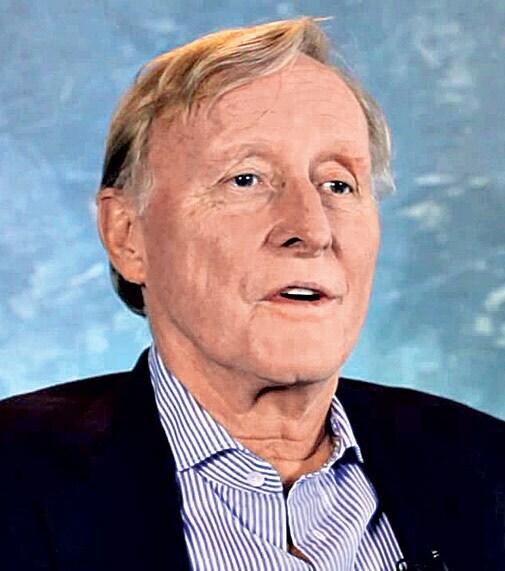 Jim Clark is perhaps best known as the visionary founder of Netscape Communications Corporation way back in 1994, but his extensive entrepreneurial activities extended far beyond that groundbreaking company to include Healtheon, the firm that became WebMD, as well as a range of innovations in the field of computer graphics. In addition, he has been a leading philanthropist, having made significant gifts to Stanford University and other education, nature and arts organisations. In his enthusiasm to obtain wines, Jim ended up creating an impressive roll-call of all the legendary vintages that one would ever want to drink. Jim's approach to wine has been similarly enthusiastic and ambitious. He focused on acquiring only the wines from the very best producers, in the greatest vintages - wines that he wanted to cherish in the days to come. However, then he overdid it. As Jim himself admits, "I may have gotten overly enthusiastic about it. I hired a guy to purchase a bunch of wines. I kind of let him go." As a result, the scale, depth, range and quality of his cellar is impressive, with a roll-call of all the legendary growers and vintages that one would ever want to drink. The cellar was put together more than fifteen years ago, at a time when these wines were much more available than they are today. And they are in great condition. Another example of great entrepreneurial timing. The top favourites in the auction of Netscape founder James H Clark's wines. When Jim decided to part with an important part of his collection, he turned to Sotheby's, which means that on November 15 in New York we will present a single-owner sale dedicated to wines from his cellar. It will be the greatest collection of Italian and RhÃ´ne wines we have ever offered, along with an exciting range of great white Burgundy. However, what's the reason for the sale? 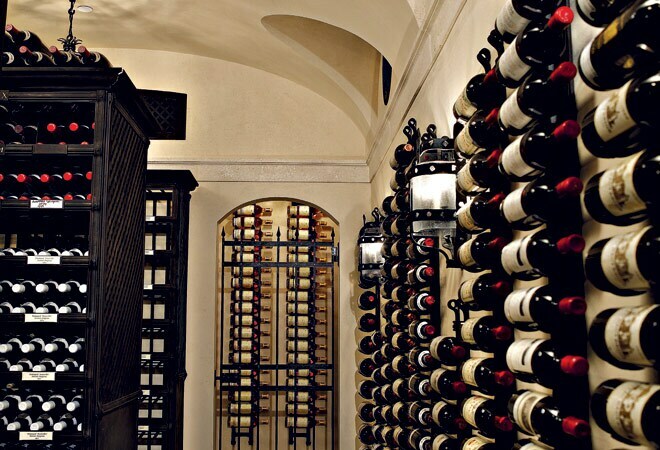 "I have more wine than I can ever drink," he says, referring to the remaining 18,000-bottle cellar. And he is doing his part to deplete quantities at home: "I drink wine every day," noting that with the help of family and friends, he goes through about 1,000 bottles a year. "I drink the really good things," he adds. "You never know what will happen tomorrow. You might as well enjoy the day." 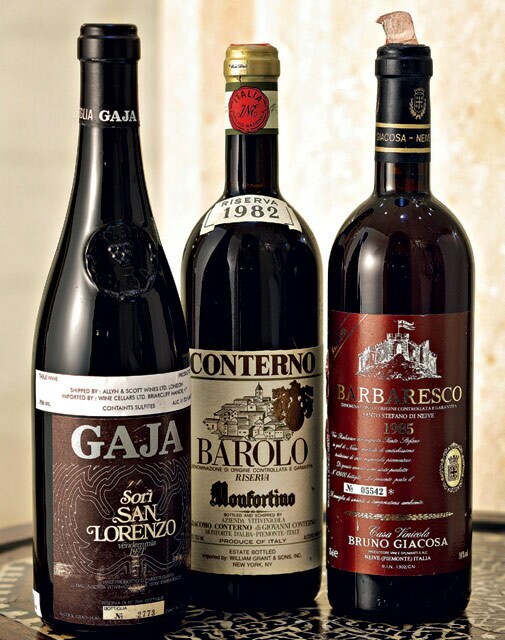 The highlights of the auction included all the most important vintages from Gaja, Giacosa, Conterno, Chave and Guigal, many in full case quantities. Name the greatest producers you can think of and Jim had them. This sale offered buyers a rare opportunity to buy 61s, 78s, 85s and 90s and compare them. The top lot in the sale was a six-bottle haul of Paul Jaboulet Aine, Hermitage La Chapelle, 1961, which fetched $49,000, just a tad below its pre-sale high estimate of $50,000. Another highlight of the sale was 11 bottles of Guigal, Cote Rotie La Mouline, 1978, which more than doubled the pre-sale high estimate to fetch $24,500. It was a dream buy for a true collector of wine as most of the wines were rare and fetched such fantastic prices. After all, there's a lot of truth in what Jim said: Life's too short and unpredictable to not partake in good wine.